Our Lady of Hope Parish Center, 701 Little Gloucester Rd., Blackwood, will host a Spring Fling Beef & Beer/Chinese Auction, Saturday, May 4 at 7 p.m. Sponsored by People for the Poor. $30 per ticket. Call 856-228-5365. The Parish of All Saints, Millville, annual Reverse Raffle Dinner, Saturday, April 27, from 6-11 p.m. at The Grove (formerly The Centerton Country Club), in Pittsgrove. Dinner tickets are $40 per person. A Basket Raffle is open to all that evening. 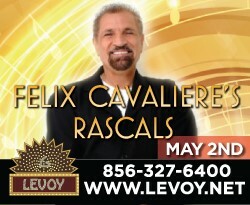 For tickets or more info call 856-825-0021. Our Lady of the Lakes, 19 Malaga Road, Collings Lakes, Cash Bingo, May 2 in the parish hall. Doors open at 5:30 p.m. bingo at 7. Seating is limited, call Jerrie, 609-226-7224. No alcohol or children under 18 permitted. Progressive jackpot over $300. St. Vincent de Paul Regional School, 19th Annual Golf Outing, Sunday, May 5 at Ron Jaworski’s Blue Heron Pines in Galloway. Lots of prizes will be raffled off throughout the day: Foursomes to local golf courses; Disney tickets; Yankees tickets; a bicycle, whiskey basket, autographed Eagles football, to name a few. Cost, $125 per golfer includes green & cart fees, lunch & dinner, beer, soda & water, along with a door prize ticket & gift bag. Military and law enforcement receive $10 off if registered in April. Email Denise Bellace, DeniseBellace@hotmail.com to register as a golfer or buy a dinner only for $30/pp. Catholic Business Network of South Jersey Dinner, Derby and Dance Party, Friday, May 10 from 6-10 p.m. at Our Lady of Hope Parish Hall, Blackwood to support Catholic education. Donations for race prizes and gift baskets would be appreciated. Tickets are $45. Tables of 10 can be reserved. To reserve a table, or to be a sponsor contact Sheila McGirl, 856-562-1891 or Smcgirl@cammonline.org Sponsorships due by April 30. To purchase tickets online: https:16042.thankyou4caring.org/page.aspx?pid=442 Derby attire welcome! The Ministry of Motherhood’s 11th Annual Pennies for the Poor Project: Please help us to make this the best yet! Collections will follow all Masses at Our Lady of Sorrows on the weekend of April 27 and 28. Money can also be dropped at the parish offices of St. Joe’s or Our Lady of Sorrows. Checks payable to Ministry of Motherhood (put P4P in memo) are tax-deductible and are also gratefully accepted. Mail to MOM c/o Alice 16 Cottage Road Egg Harbor Township, NJ 08234. Your pennies make a huge difference in the lives of children at MOM’s adopted school, Flor del Cafe, in Santo Domingo, DR. This year’s proceeds will enable them to install real doors and windows, wire electricity so they can have fans, and more. 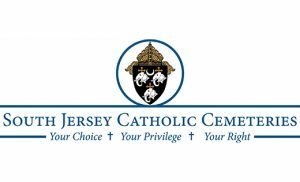 The Christ Child Society 35th Annual Spring Fling Luncheon “Forget Me Not,” Sunday, May 19, from 11:30 a.m. to 3 p.m. at the Penthouse Ballroom in the Grand Hotel, 1045 Beach Ave, Cape May, NJ. Entertainment will be provided by Bittersweet Duo, and gift baskets and 50/50 raffles will be held. Tickets are $40/adults, $15/children and all proceeds are used to help children in need. For reservations and choice of entree, call Kay, 609-536-2865. Doo Wop fundraiser, concert and dance, sponsored by the Knights of Columbus Assembly #652, 4th Degree Knights, April 27 from 6-10 p.m. at St. Agnes Parish Center, Our Lady of Hope Parish, 701 Little Gloucester Rd., Blackwood. Featuring live shows by Blue Velvet and the Tributes, full buffet, DJ dancing, BYOB. MChost from DOC C from WVLT. $35/pp. proceeds benefit BJ Eustace Regalia Fund and Religious Sisters. Contact Jim Horan Jr., 609-828-1764 or Joe Turt, 856-278-6616. Golf Outing, sponsored by Guardian Angels Regional School, will be held on Friday, May 3 at Town & Country Golf Links in Woodstown. $125 gets attendees a day of golf including golf cart, lunch, 18 holes, and a BBQ dinner. More info or to register, visit the school website at www.gars-online.com, or call school office, 856-423-9440. St. Cecilia School, 13th Annual Oldies Night with Jerry Blavat “The Geator with the Heater,” Saturday, May 4 from 7 p.m. to 12 midnight, Msgr. Kavanagh Hall, Pennsauken. Dancng, buffet, beer, soda, BYOB, 50/50 and basket auction. Cost, $40 per person. For tickets call, Jo Howard, 856-979-9995 or school office, 856-662-0149. Proceeds benefit the school. Bingo at St. Peter in Merchantville, Wednesdays, doors will open at 5:30 p.m., food will be available for purchase; Bingo will start at 7 p.m., 15 games including a progressive jackpot; Pastors Hall, located below the church. For more info call 856-663-1373. Our Lady of Guadalupe Parish Progressive Bingo Wednesdays at 100 South Ave., Lindenwold, and Wednesdays and Fridays at 55 Warwick Road, Stratford, doors open 5:30 p.m. Call 856-783-3088. The Christ Child Society, North Cape May, needs new cribs, other baby furniture and clothing and layettes for babies in need and coats and hats to help children in need in the community. Items go directly to the children through local agencies. 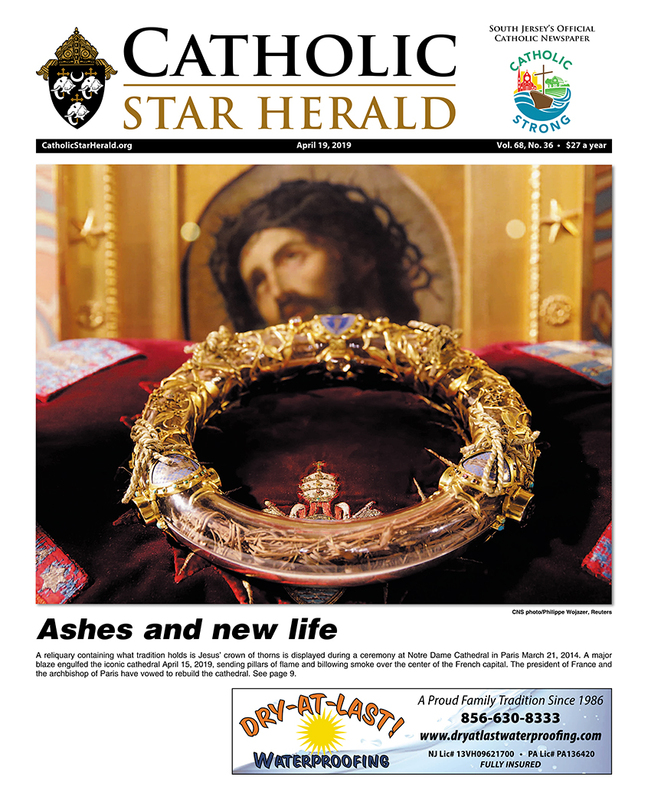 Monetary donations of any amount are greatly appreciated, payable to the Christ Child Society, PO Box 882, North Cape May, NJ 08204 or for more information, call 609-602-7682.